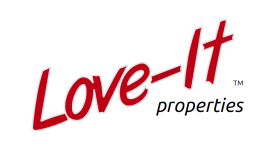 Love-It properties primarily focus on real estate sales. We employ resources and people so that the sale or purchase of your property gets the required expertise and attention. You don’t have a single person but the benefit of a team. Very important to us: We want to add value to your life. Within the property group we also invest in property, we share your sentiment. We look at it from your ‘window’. We would love to hear from you, help us turn this into one of your ‘I absolutely Love-It’ adventures.